Deciduous tree, pyramidal to rounded outline, fast growing, 45 × 35 ft (14 × 11 m). 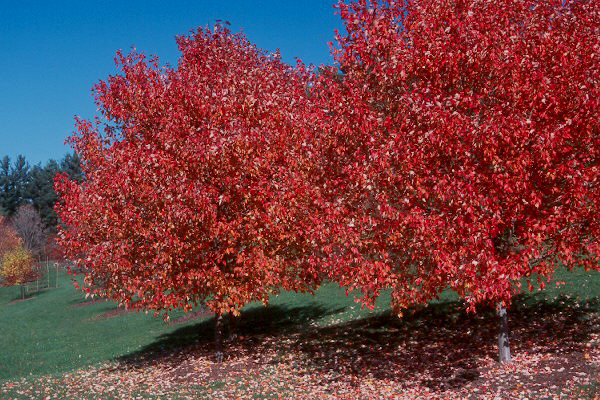 Leaves opposite, simple, thick, strongly 3-lobed, dark, glossy green, fall foliage is brilliant orange-red to red. Female tree, it produces fruit (seeds) that that is bright red. Sun, very tolerant of soils. Has shown high tolerance to flooding. 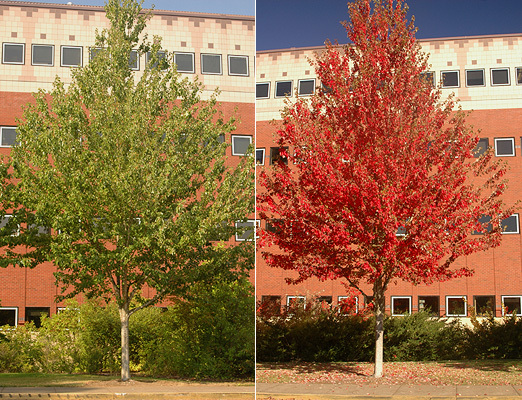 Hardy to USDA Zone 4 Colors earlier and is more cold hardy than October Glory®. 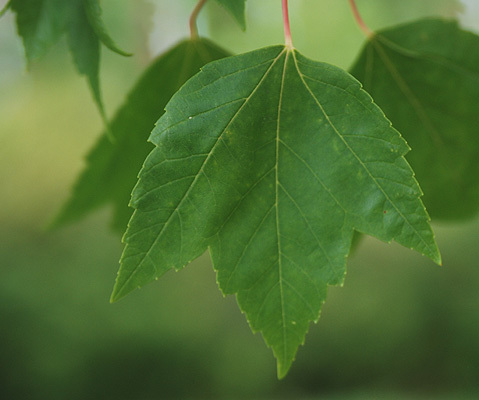 Developed in the 1940s by J. Frank Schmidt, Jr. of J. Frank Schmidt & Sons nursery, Boring, Oregon, introduced in 1966; reportedly the trademark name was inspired by the song "Red Sails in the Sunset", considered a standard by which to measure other Red Maples and widely planted in the 1970s and 80s (Jacobson, 1996). Iowa's Nursery and Landscape Professionals Tree of the Year in 2002.